REBELSAUCE ($0.99) by Last Automaton App Supply Inc. is a gorgeous new photo editing app that holds the recipe for creating some awesome photographs on your iPhone. 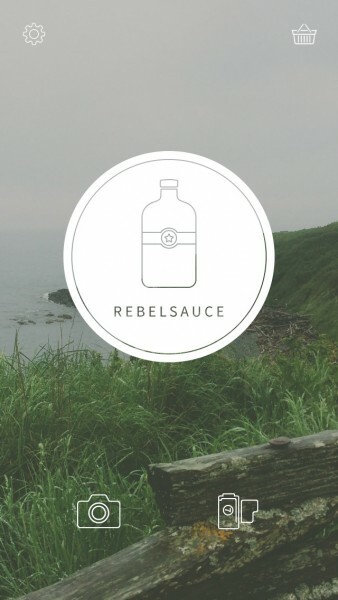 If you enjoy other editing apps like VSCO Cam and Afterlight, then Rebelsauce will be right up your alley. Ever since I got my first iPhone in 2008, my passion for photography has bloomed. I always had an interest in it, but I never got around to saving up for a powerful DSLR back in the day, but with the iPhone becoming better with the cameras in each iteration, I ended up not needing one (if I was a pro, that would be a different story). As a fun hobby, the iPhone has served my needs just fine, and I’ve accumulated dozens of photo editing apps on iOS over the years. 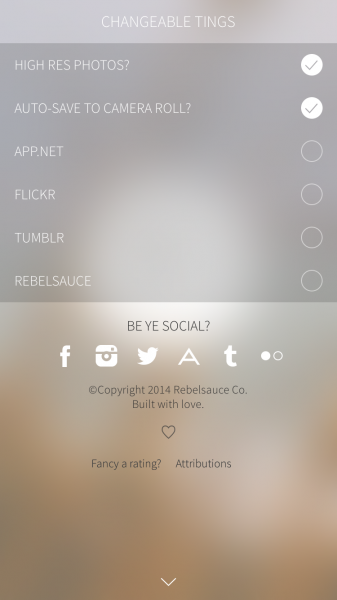 Despite this, I’m always on the lookout for new and interesting looking apps, so when I saw Rebelsauce, I had to get my hands on it. Rebelsauce sports a beautiful interface, and it’s probably one of the more stunning ones I’ve seen lately. 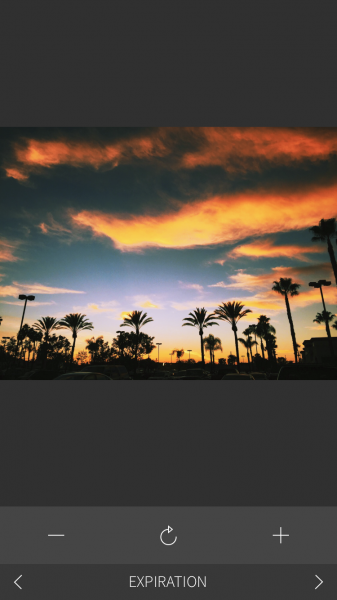 If you like gorgeous apps and enjoy photography, then I say Rebelsauce is worth checking out for that alone. 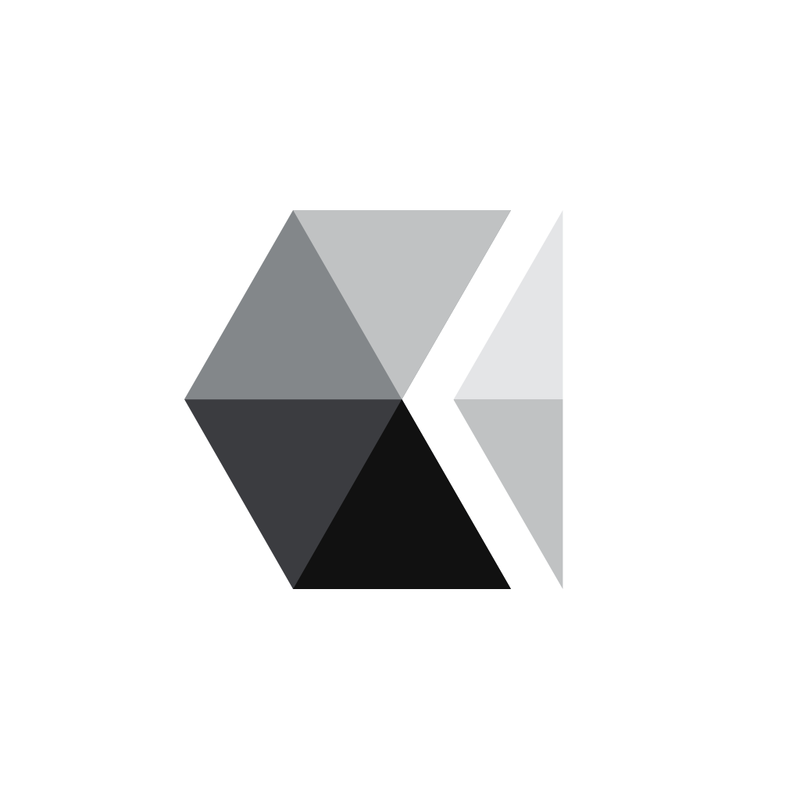 The main screen will cycle through ravishing, user-submitted photographs in the background, which can serve as inspiration if you are unsure about what to create. There is a lot of transparency and blurring effects used in the menus of Rebelsauce, so it fits well with the overall aesthetics of iOS. 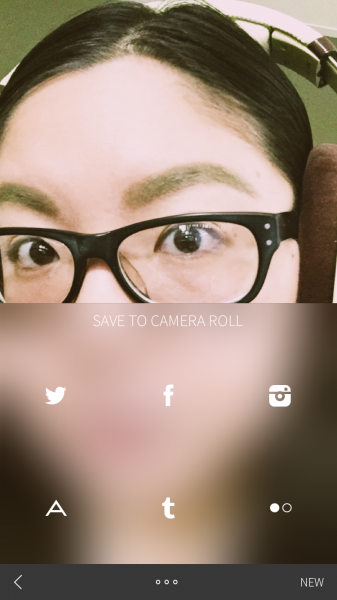 The app also makes use of intuitive gestures for getting a closer look at what you’re editing, navigating through various “sauces” (also known as filters, mostly of the film variety), photo adjustments, and sharing. 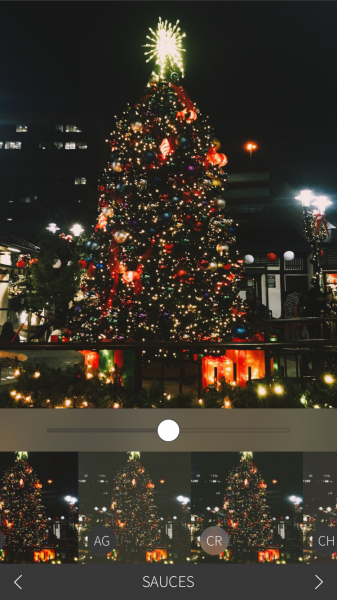 There are two ways to get an image into Rebelsauce: you can snap a new photo directly with the app, or import from your Photo Library. Once you have an image in the app, the fun begins. The first thing that the app defaults to when editing is the sauce. 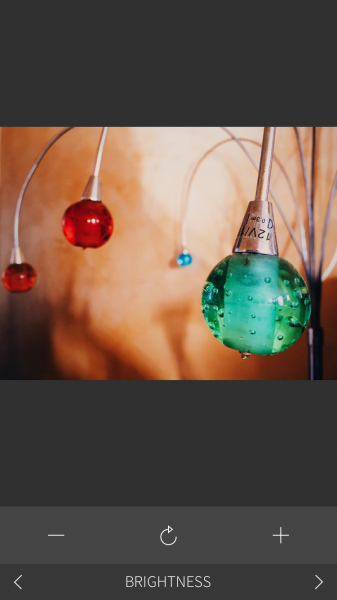 These are basically film effects for your images, and the initial download includes a nice variety of them that you can scroll through by swiping horizontally along the ribbon.  When you find one you like, just tap on it to see how it looks on your photo. A tap-and-hold brings up the slider to adjust the intensity of the sauce. While the included sauce pack has plenty of basic options for users, there are plenty more to choose from. 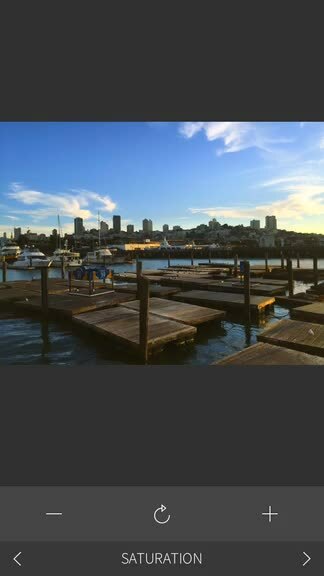 You can view these by swiping vertically along the sauce ribbon, and a price tag in the corner of a filter indicates that they are available through in-app purchase. Individual sauce packs (total of nine) can be had for $0.99 a pop, or you can get the “Big Box ‘o Sauce” for $5.99. 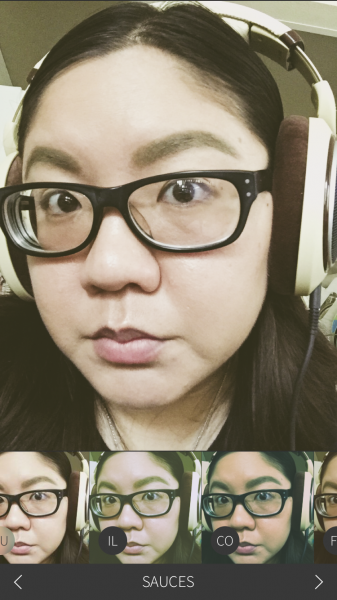 While the unique features of Rebelsauce include these filters, users are able to do regular photo editing with the app as well. Just tap on the “Sauces” bar at the bottom, and a menu pops up with other editing tools. 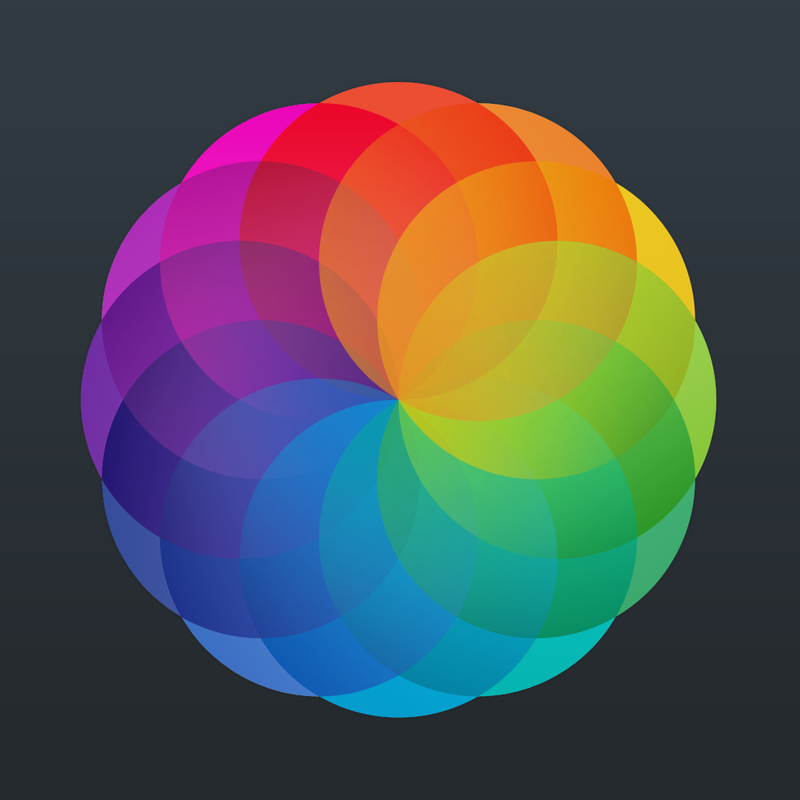 These include saturation, brightness, contrast, temperature, expiration, fade, rotate & crop, and grain. I enjoy having these basic editing features, but there is one thing that bothers me: the fact that you have to adjust all of these with buttons, rather than sliders. This makes it a bit cumbersome to edit, as you have to cycle through them one-at-a-time. 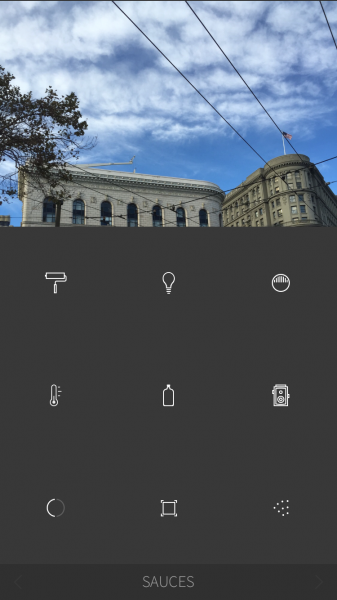 I hope that the developers can change this in a future update to include sliders, perhaps with intensity levels like what VSCO Cam has. 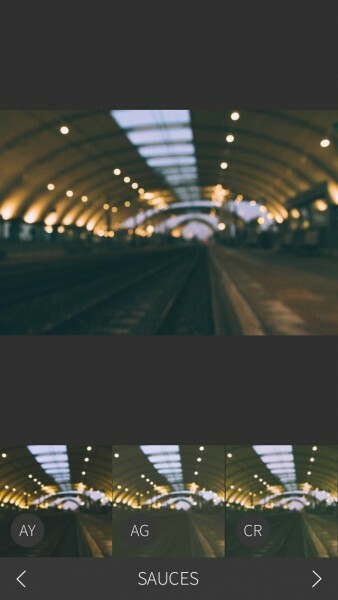 After you’re done editing your image, just tap on the “next” arrow at the bottom to go to the save and share screen. 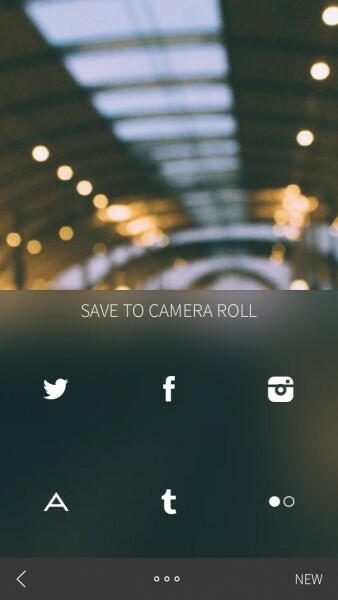 There are a few options here: you can save your final image to your Camera Roll, or share it on Twitter, Facebook, Instagram, App.net, Tumblr, or Flickr. Also, if you have a Rebelsauce account, you can send it there too. You can log in to all of your social accounts from the app’s settings screen, which is accessed via the cog in the upper left corner of the main screen. There’s an option to toggle high-resolution photos here as well, along with saving automatically to the Camera Roll for new captures. Even though I have plenty of options already, and my current favorite is still VSCO Cam, I’ve been loving what Rebelsauce has to offer. The films look great, and give your photos a realistic look and feel because of it. There’s plenty to work with in the initial purchase, and the only time you spend more is if you want more sauces to use. I just want to see better control over editing adjustments, because the buttons just don’t cut it. I highly recommend checking out Rebelsauce for yourself if you are a fan of the classic film look and want to create some artsy photos with it. 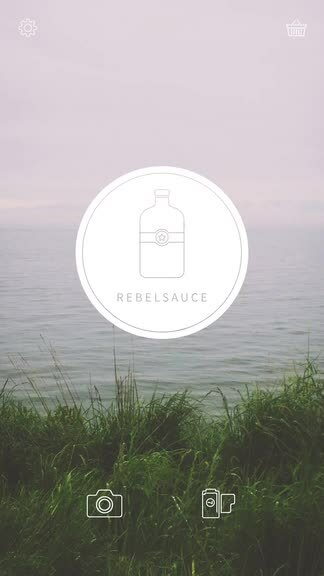 You can get Rebelsauce on the iPhone App Store for $0.99.